1. 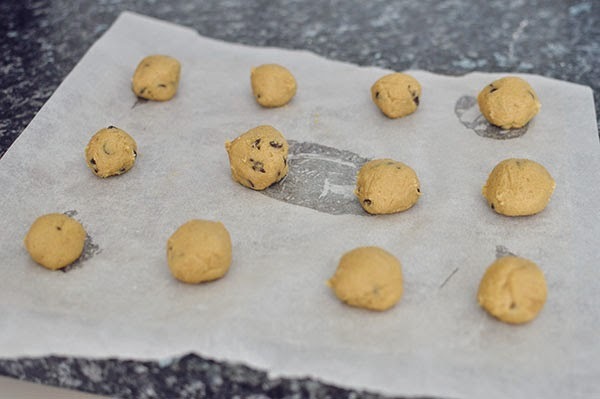 Preheat your oven to 170°C and line two baking trays with greaseproof paper. 2. 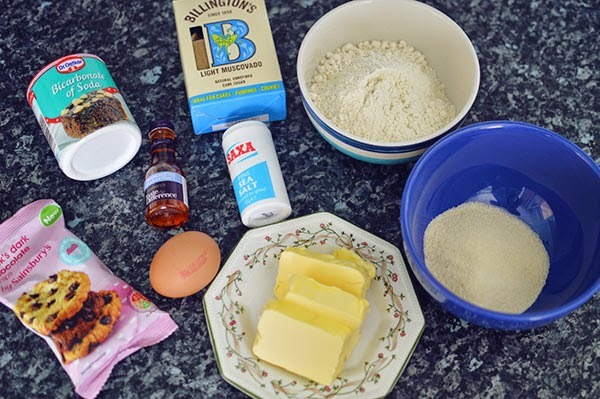 In a bowl, cream together the butter and both sugars until light and fluffy. 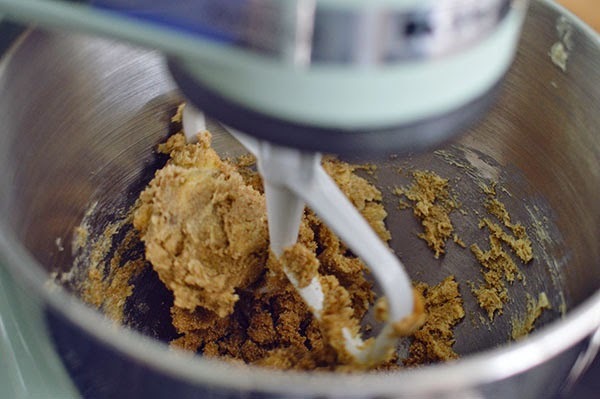 Add the egg and the vanilla extract to the bowl and mix well. 3. 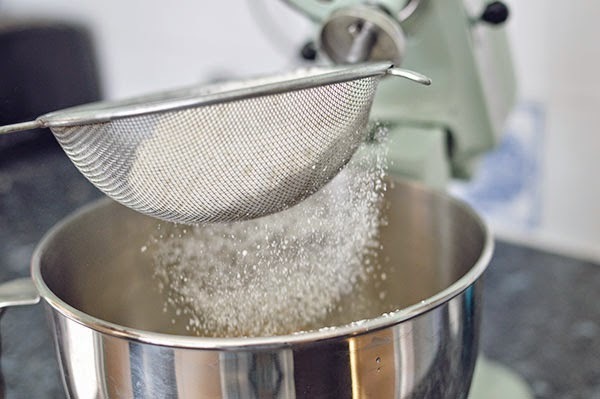 Sieve the flour, salt and bicarbonate of soda into another bowl and then gradually add it to the mixture until a soft dough is formed. 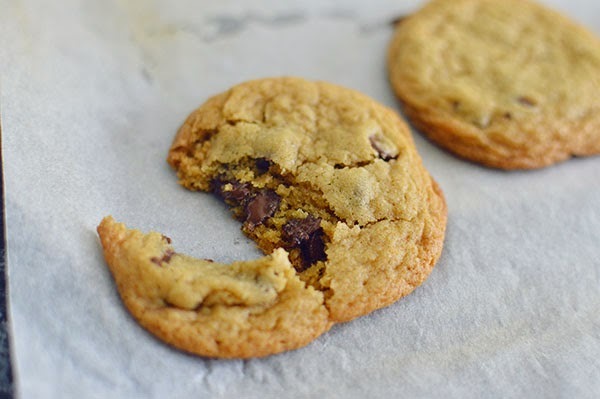 Now add in the chocolate chips. 4. 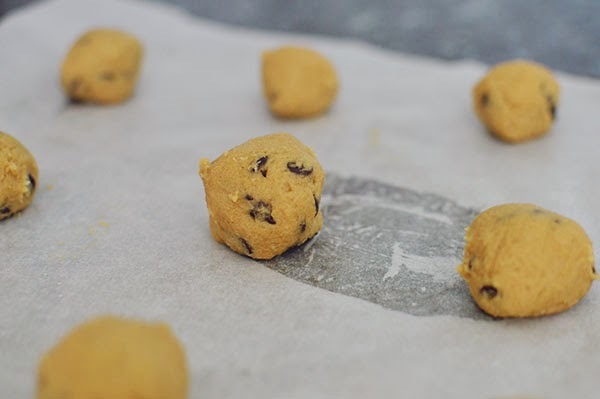 Break off small pieces of the mixture to form round balls that are about an inch wide and place them on the baking tray. Be sure to leave plenty of space around them as the balls will melt into flat circles. 5. Your now ready to place them in the oven. 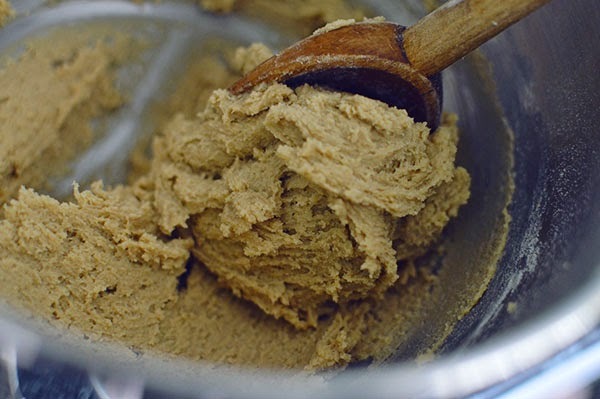 Depending on how you like your cookies you can either bake them for 8 minutes if you want them to be soft and gooey or 10-15 minutes if you prefer something firmer. 6. Once cooked. 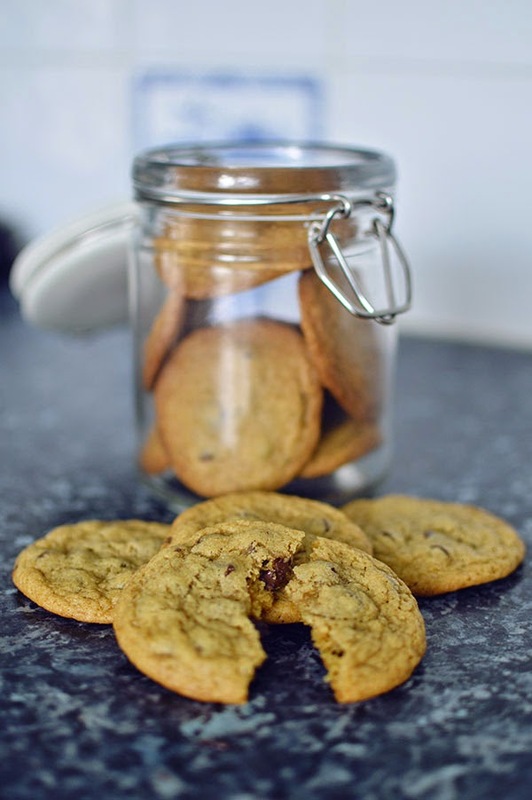 leave the cookies on the baking tray for 10 minutes and then transfer them to a wire rack to cool completely.